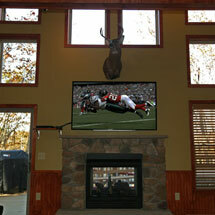 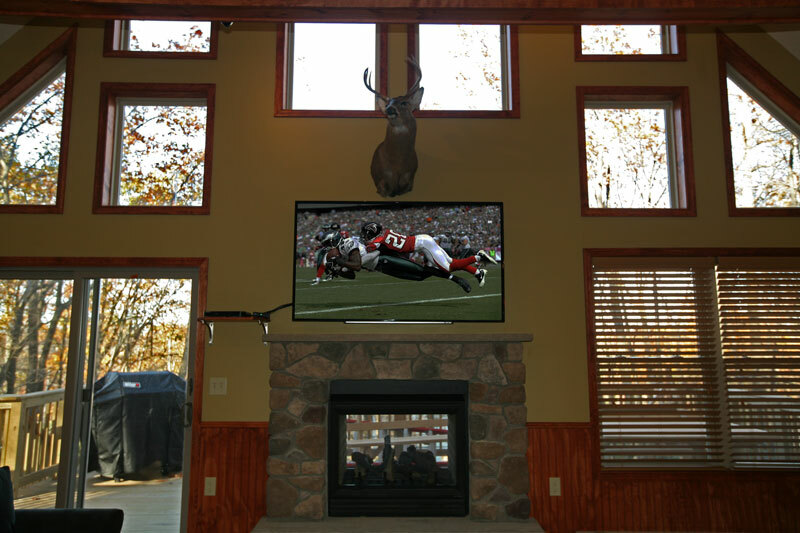 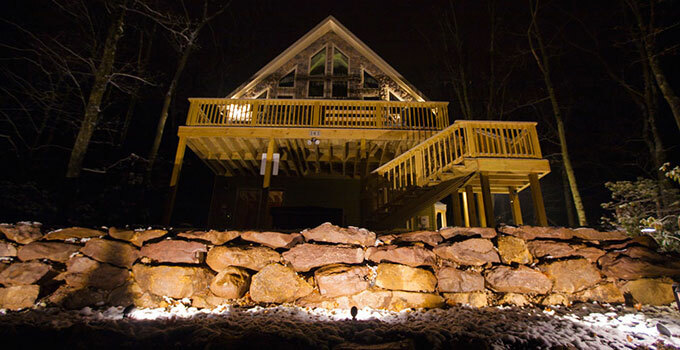 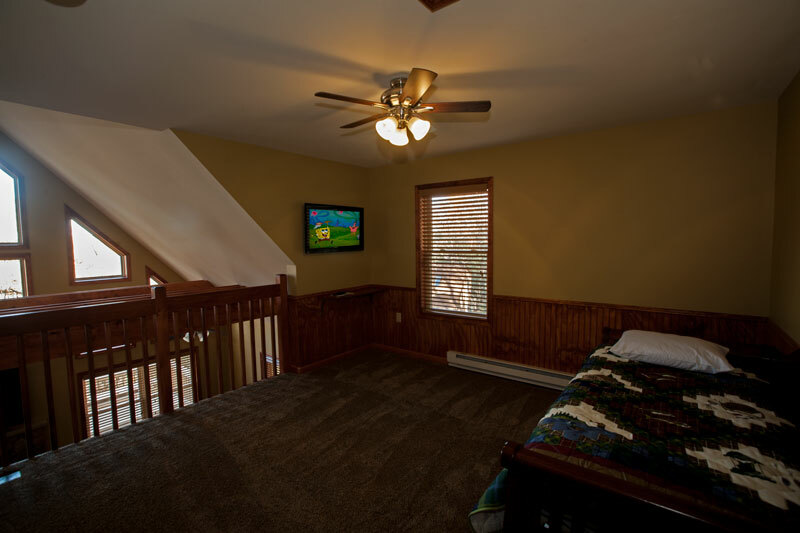 Visit the Poconos and stay with us.  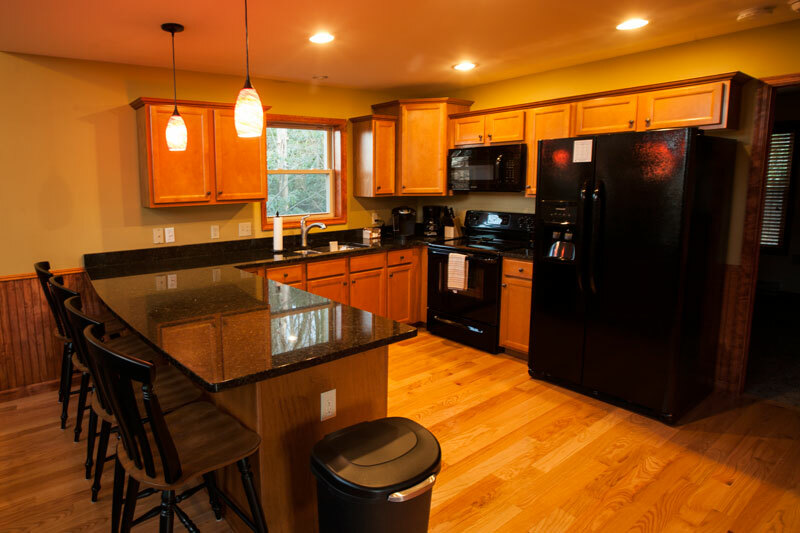 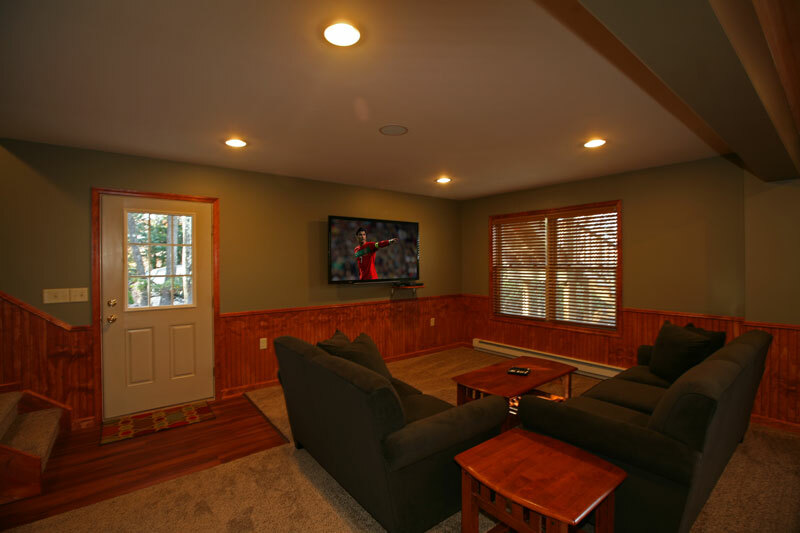 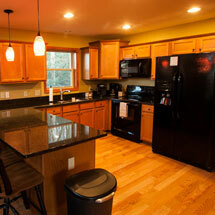 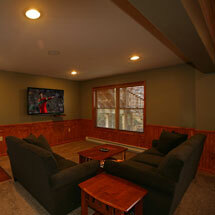 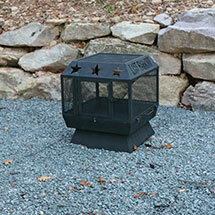 Our vacation rental is located in beautiful Lake Harmony Pennsylvania walking distance from the lake and tennis courts. 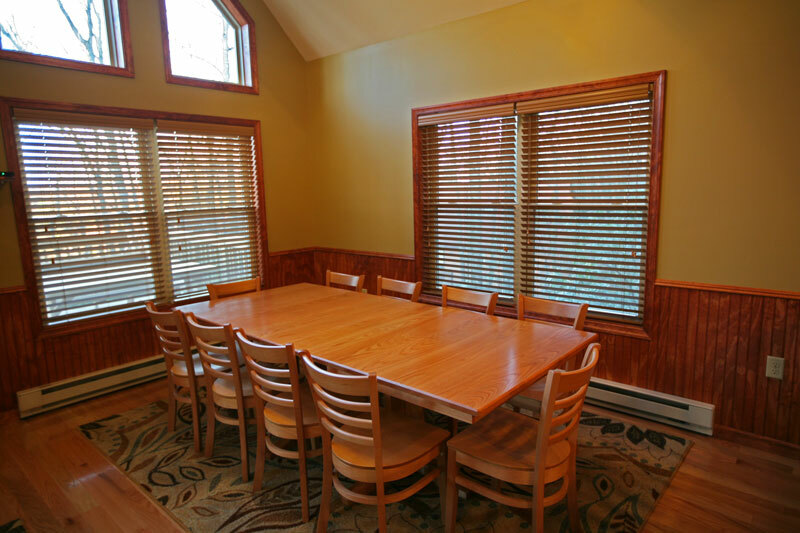 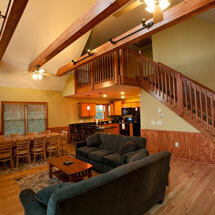 Our 6 bedroom plus loft house is perfect for large groups and family reunions. 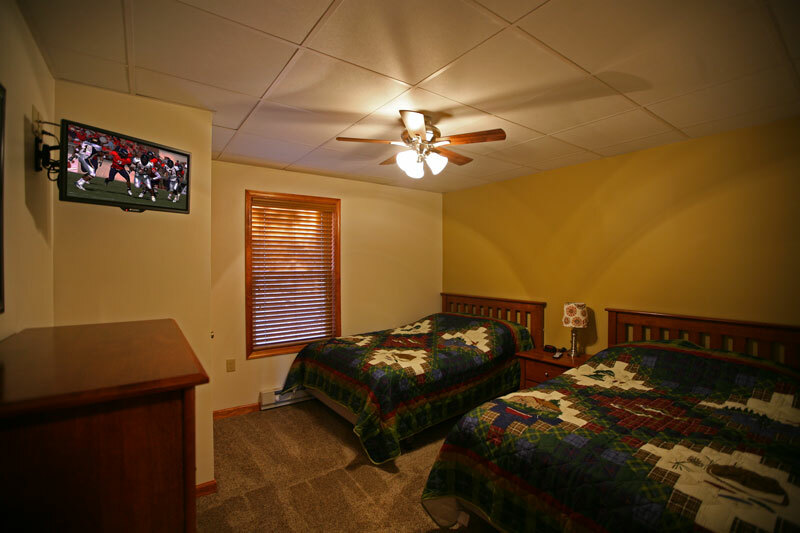 The 2 bedrooms located on the first floor have 2 queen size beds. 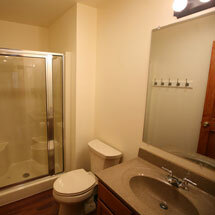 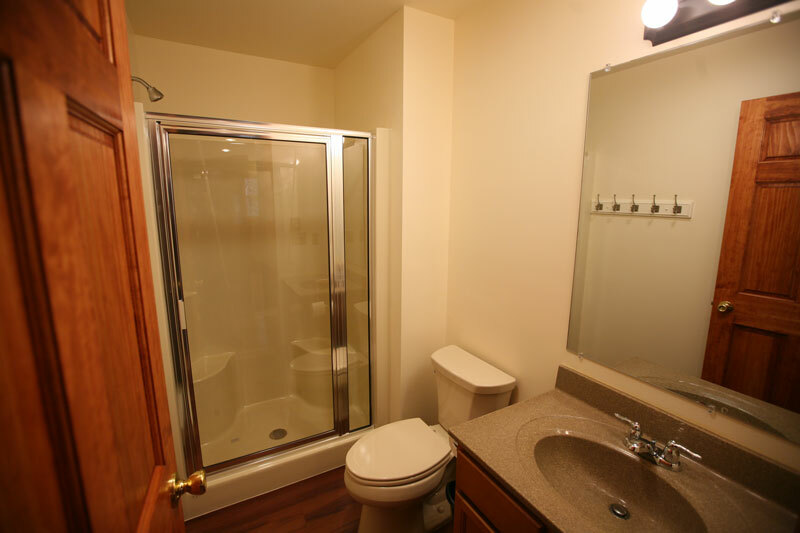 Both bedrooms have a TV, and share a full bathroom. 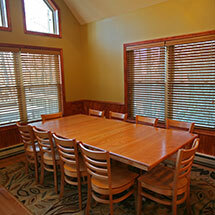 Ask us about linen rentals for your stay. 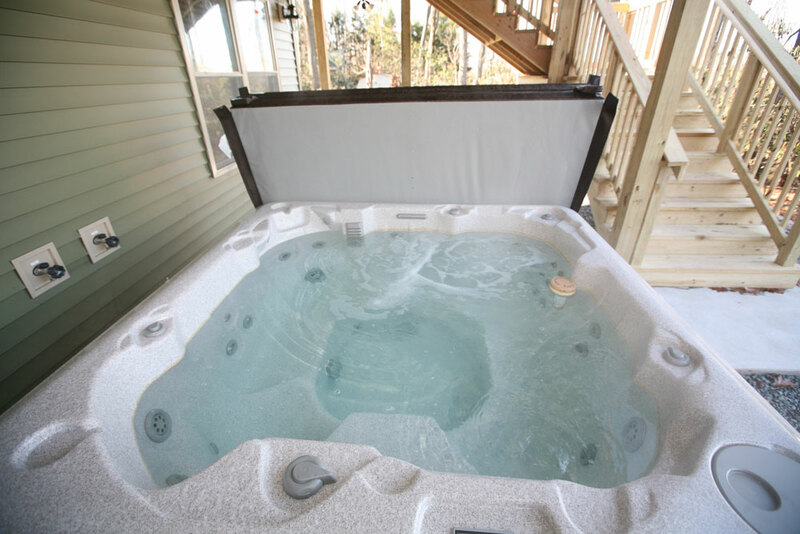 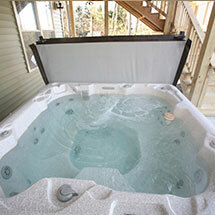 This rental includes a 6 person outdoor hot tub that is professionally cleaned before each rental. 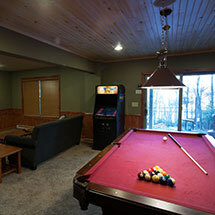 The first floor lounge area has an 8 foot pool table and wide screen TV with DVD player. 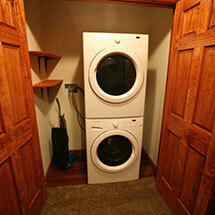 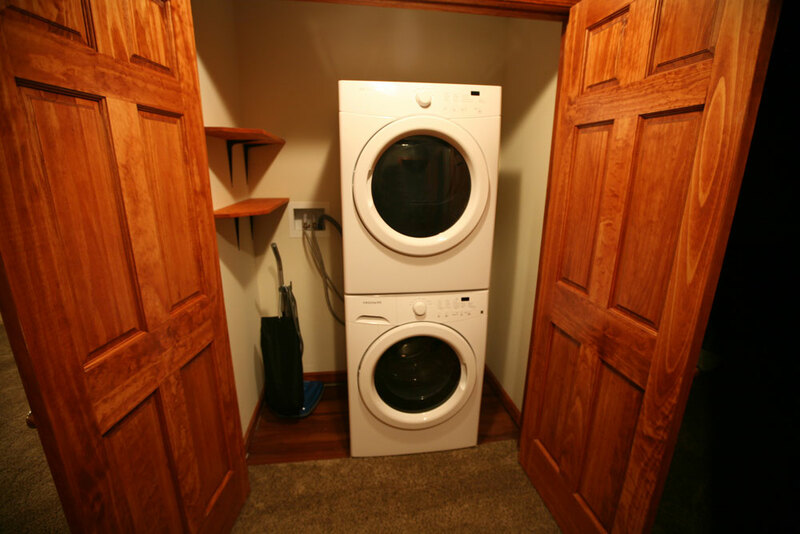 A washer and dryer are available for use; remember to bring your own soap is you wish to use it. 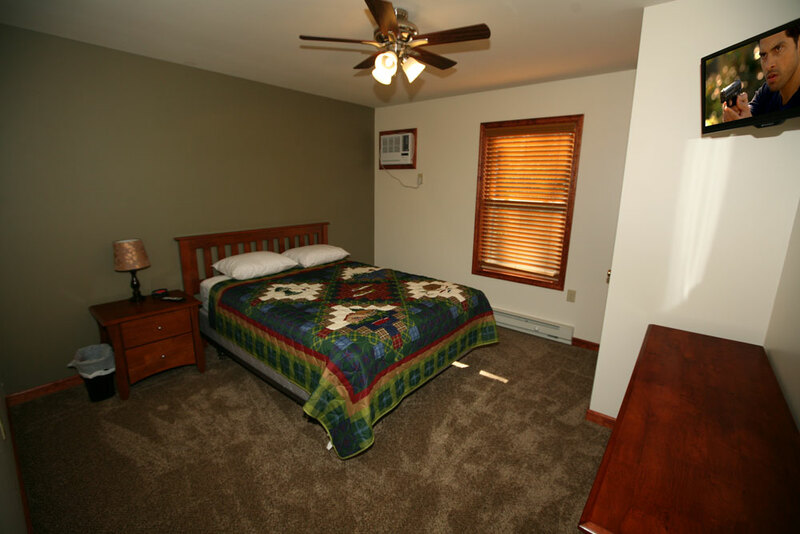 The two second floor bedrooms are located just off the kitchen. 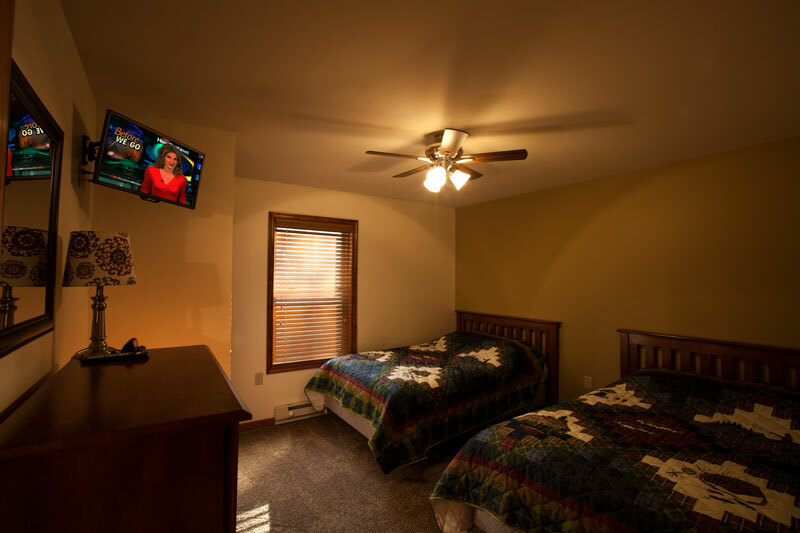 Both bedrooms have a TV, and share a full bathroom. 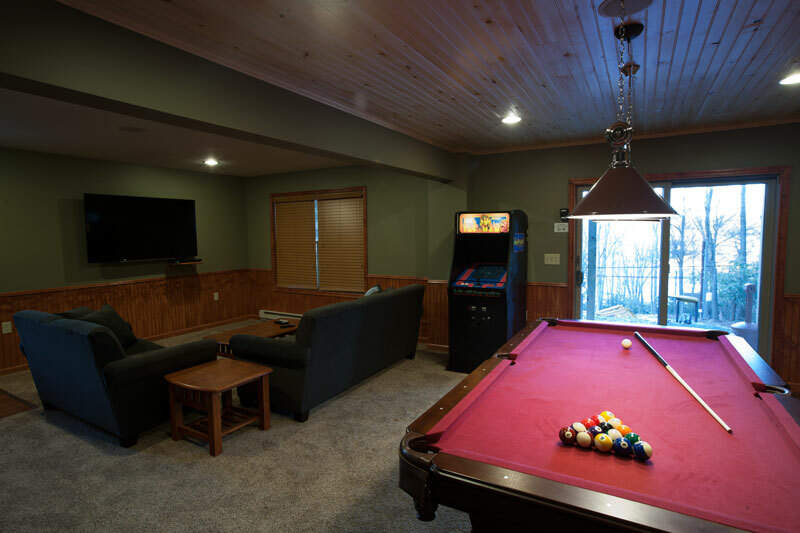 The second floor has an open floor plan including a large living area with cathedral ceiling, dining area with 10 person solid wood table, Gas fireplace and full modern kitchen. 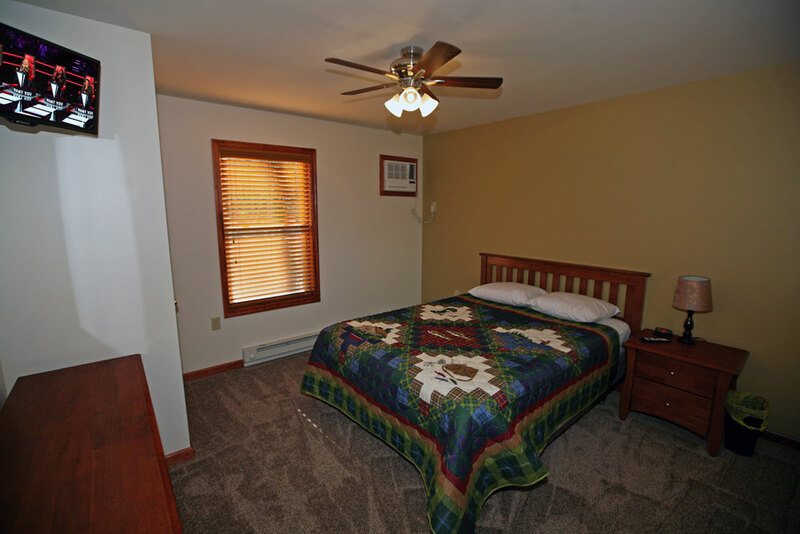 There are 2 bedrooms located on the third floor. 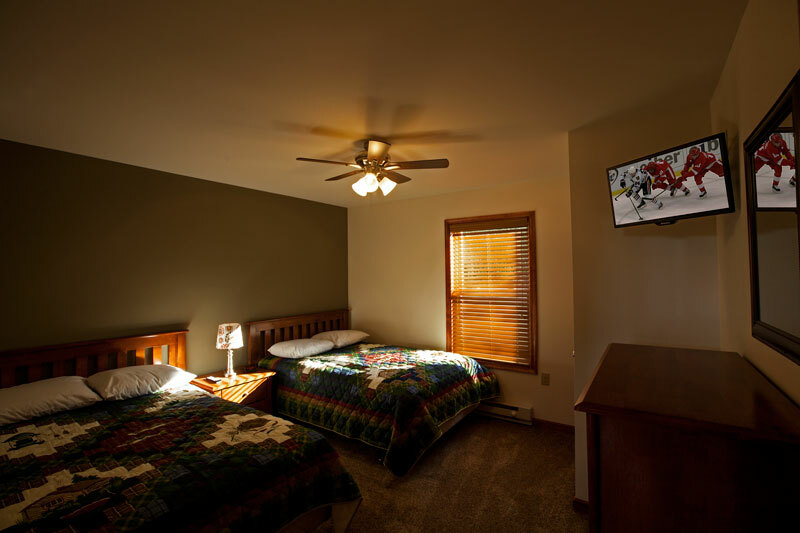 Both bedrooms have a queen size bed, TV and share a full bathroom. 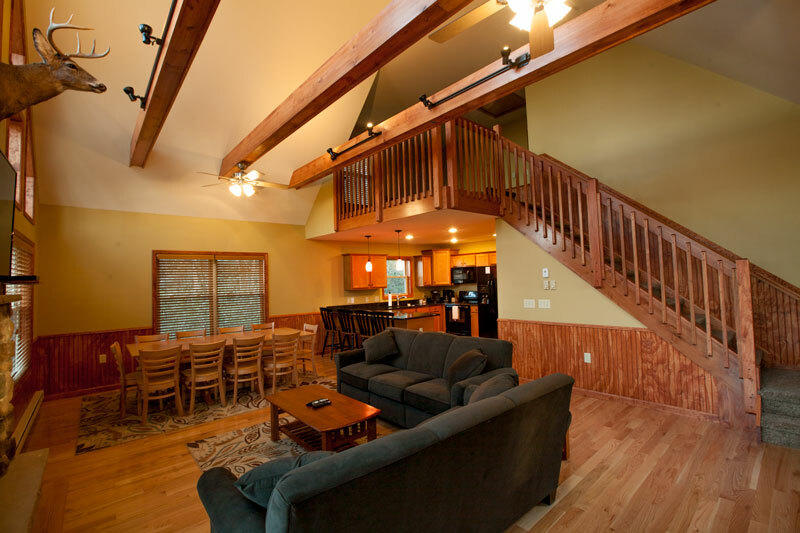 The third floor loft is the perfect place to relax and enjoy the view of the main living area and outside through the large front windows. 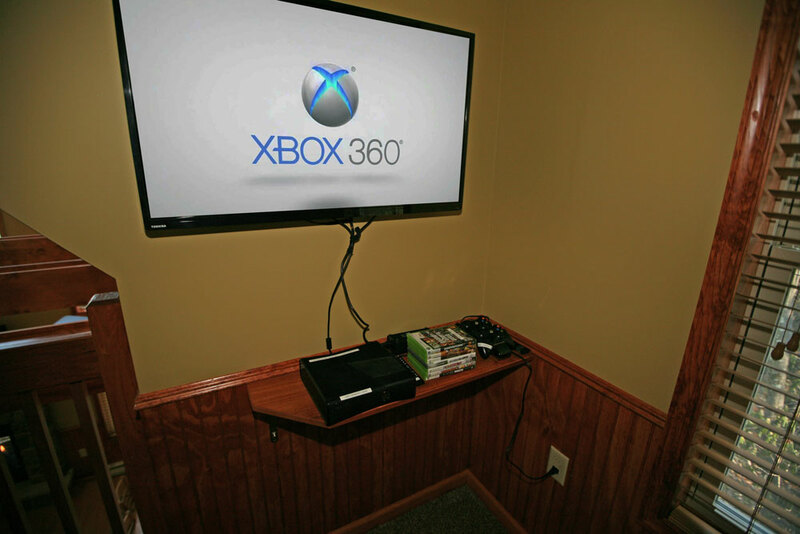 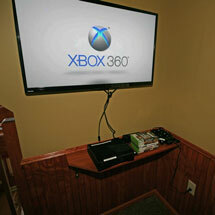 The Xbox 360 game console is perfect for the kids or the kid in you. 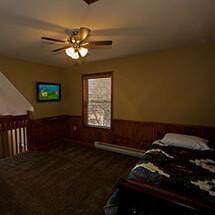 The loft has a twin size trundle bed to sleep and additional 2 people.